The WIR Series Reed Chain Indicator Transmitter is loop powered, providing an output for the WMI Series Magnetic Level Indicator. A variety of resolution options are available depending on application accuracy requirements. Standard housing options include aluminum with blank or window cover and digital display, or stainless steel. 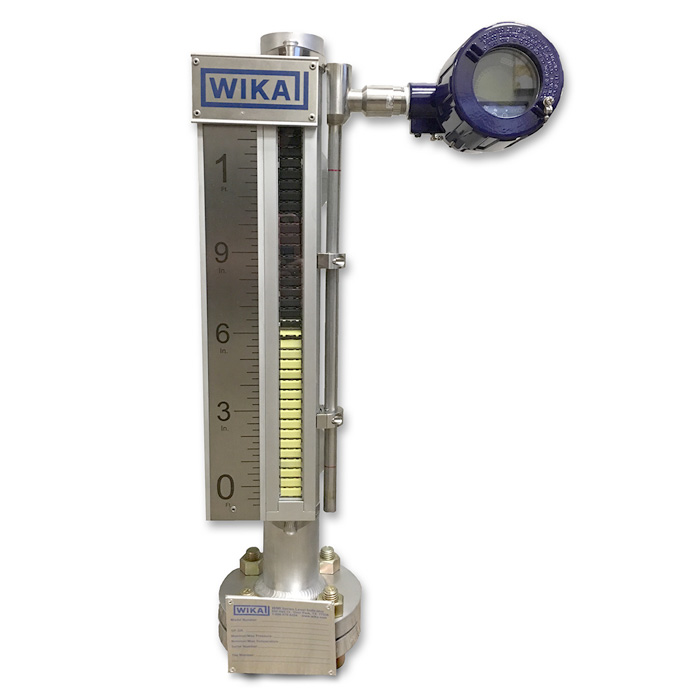 The WIR transmitter length will coincide with the measuring range of the WMI Series Magnetic Level Indicator.